Heading toward April in Wisconsin – let’s drive and explore! 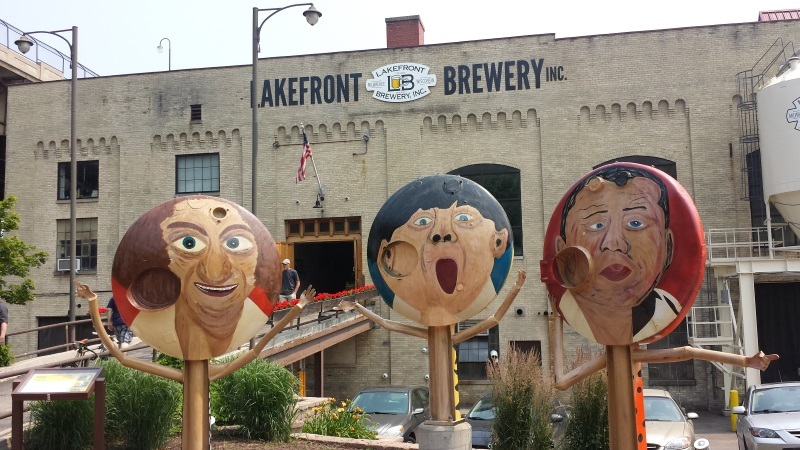 A State Trunk Tour favorite is the Lakefront Brewery in Milwaukee, with some eye-catching welcome items out front. Spring is here and while the warmer weather is going back and forth about when it wants to arrive (gear up for a chilly start to April), we’re gearing up for fun exploration of Wisconsin this season! Explore the state with us as your guide. There’s a lot to see when you do State Trunk Tour drives on Wisconsin highways. Check out big cities and charming small towns, take in the state’s quirks, and let us help wherever you venture across Wisconsin. And keep track of us on Facebook and Twitter for continuing updates on driving conditions. By the way, if you want to think summer, Summerfest just announced over 90 new artists for this year! Check out complete listings here. We’re adding more routes and more detail to existing routes, along with pictures, points of interest, attractions and more road coverage. Enjoy the Badger State by exploring it – Pick Some Roads and GO! !